Ideal to send diplomas, certificates and A3 documents. With an adhesive strip to seal the envelope easily and save time. 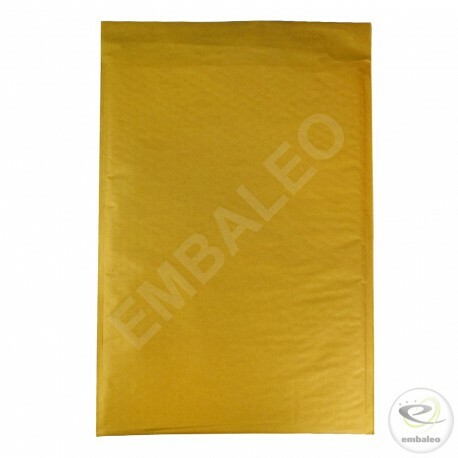 There is a 5 mm tolerance which can reduce or increase the volume of the envelopes (example : for a envelope 30 x 44 cm, the length can be 29.5, 30 o 30.5 and the width can be 43.5, 44 or 44.5 cm according to delivery). If we had chosen the Gold bubble envelopes from the brand Mail Lite, it's because they are of good quality and they respect the environment (FSC certification). Perfect to mail and protect goods thanks to the bubbles. The bubble envelope is covered with kraft paper which gives it strength and helps us to write the address of the recipient on the envelope. From small to large size, you will find all the sizes of padded envelopes to ship a full range of objects like jewels, mobile phone accessories, books... Save money on shipping costs thanks to its lightness and save time on packaging costs because you don't need to seal your envelope with an adhesive tape anymore thanks to the adhesive strip. 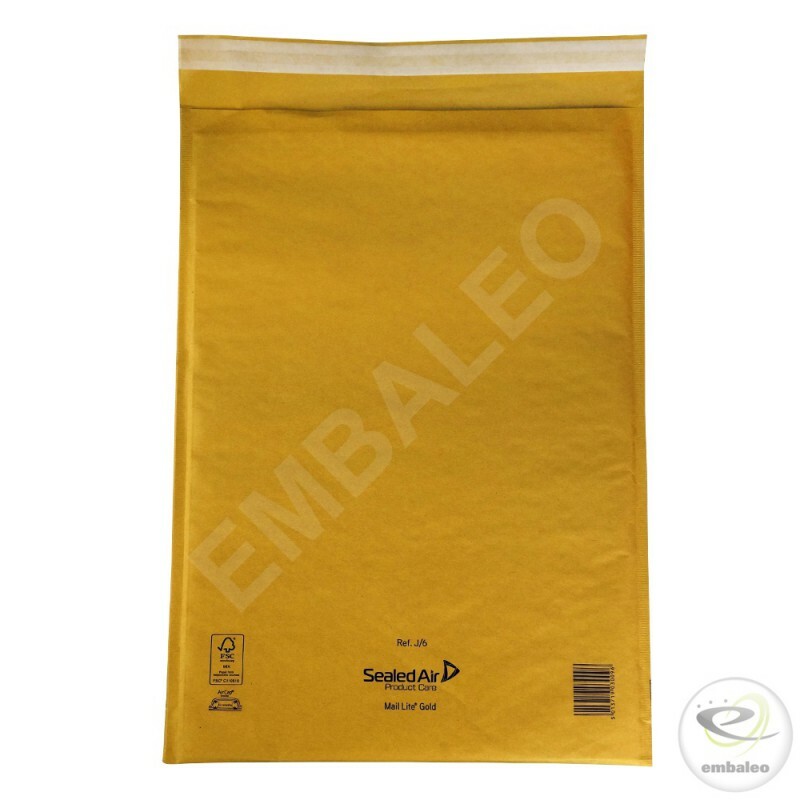 Ecological : the Mail Lite bubble envelopes earned FSC certification. If we had chosen the Gold bubble envelopes from the brand Mail Lite, it's because they are of good quality and they respect the environment (FSC certification). Perfect to mail and protect goods thanks to the bubbles. The bubble envelope is covered with kraft paper which gives it strength and helps us to write the address of the recipient on the envelope. 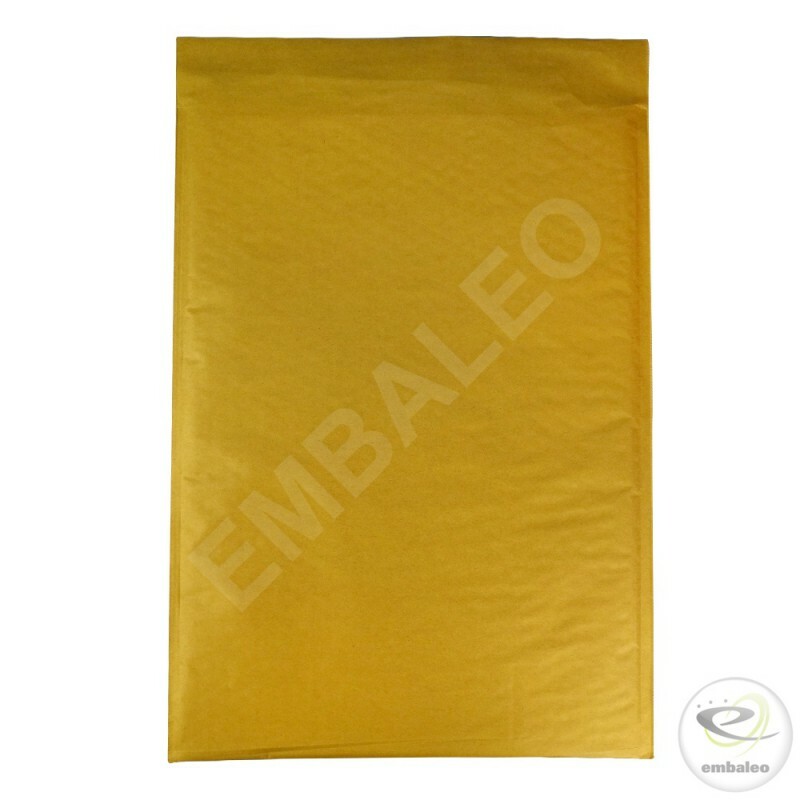 From small to large size, you will find all the sizes of padded envelopes to ship a full range of objects like jewels, mobile phone accessories, books... Save money on shipping costs thanks to its lightness and save time on packaging costs because you don't need to seal your envelope with an adhesive tape anymore thanks to the adhesive strip. Thanks to theses advantages, the bubble envelope helps you to protect efficiently your product and to save money on shipping costs.